Gainesville Cohousing has hired The Flanagan Companies, Inc., a high-quality construction service in Alachua County, as the organization’s builder. Gainesville Cohousing is group of people dedicated to creating and sustaining an environment where residents treat each other and their common space with respect and care. 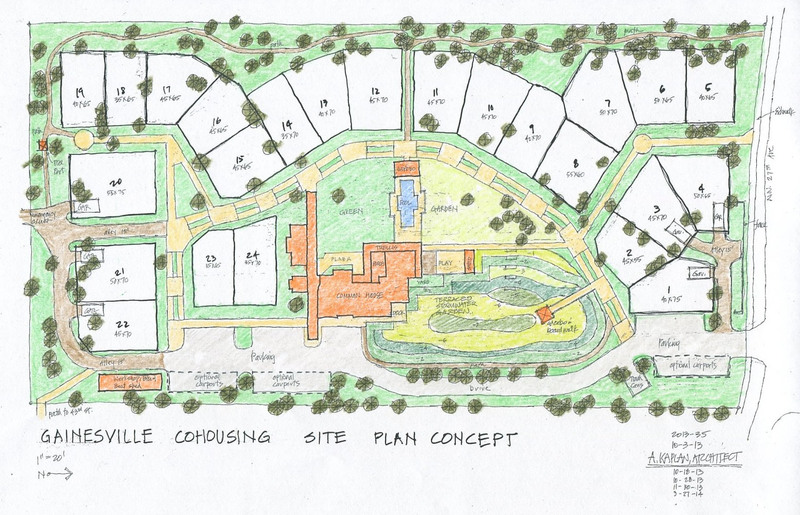 The Gainesville Cohousing site plan consists of 24 private homes surrounded by common facilities including, a kitchen, dining room, a pool and other recreational features on a 4.75-acre plot of land. Kaplan has worked with The Flanagan Companies for more than 20 years and has always seen great results, making them a great pick for Gainesville Cohousing. “The organization has already spent a lot of time on design and the site plan for where homes will go,” said Tim Flanagan, owner of The Flanagan Companies. “All in all, the project in entirety should only take about 12 to 16 months,” he said. The Flanagan Companies has been specializing in energy-efficient, affordable residential and commercial construction in Alachua County for more than 25 years. Construction for Gainesville Cohousing is expected to begin in early 2015.